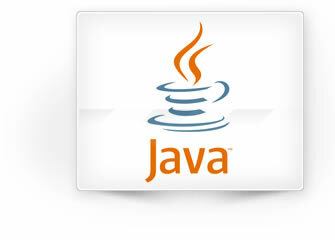 While "Java" might not be the first word that pops into your head when you think about online poker software, the programming language has played a fairly significant role in the development of the industry as a whole. That role has certainly diminished over the last decade, but - for at least some players - rooms powered by Java still remain an important part of the online poker landscape. 888 Poker is our pick for the best Java online poker room. With their special Java-powered client that allows you to play without having to download any software, 888 offers players using certain mobile devices or those who aren't able to install programs a great option for playing real money poker. The Java version of the 888 Poker software allows you to play real money games at a variety of limits, and is very similar in terms of features and stability to the main client you would otherwise download from 888. Best of all, you can play online poker for real money using the software without ever having to download or install any program. The combination of a solid Java client, excellent game selection and above-average value from promotions and VIP bonuses cements 888 Poker as our top pick among Java-based online poker rooms. USA Players Please Read - Unfortunately, US poker players don't have the option of playing on a Java poker site. Try visiting our US poker page instead. Most of the sites are compatible with all operating systems. There was definitely a point in the evolution of the online poker industry where it seemed as if Java might be the future of poker room software. With portability, stability and tons of resources for programmers, Java simply made sense to developers of online poker rooms. Unfortunately, those advantages were ultimately outweighed by overhead and the limitations involved in the Java platform, and rooms opted to primarily develop standalone clients supplemented by either Java or Flash-based versions of the software. For a time it seemed as if the mobile online poker market might provide Java with a path to dominance in the industry, but as it became clear that mobile would be a far more proprietary arena than most had originally imagined, the last real hope for Java to play a major role in online poker evaporated. While Java-powered poker rooms may not play a major role in the industry, it's important to not understate the role they nonetheless play. Many of the most popular poker rooms still deliver their "no download" poker software version via Java, and such clients continue to be very popular among players - especially in markets with below-average internet penetration or in contexts where players aren't able to download software onto a machine. That's more of the poker-playing population than some might suspect; in fact, some estimates put the total share of no download clients at something approaching 15% of all players online. Assuming that share isn't destined to shrink in the near future, it seems as if Java will continue to be relevant as a platform for online poker rooms. What level of relevance the programming language will enjoy is a separate question. One big edge for Java: Its main rival, Flash, is on the way out (and quickly) thanks to security, performance and compatibility issues. That means more and more rooms looking to develop a no download client will be turning to Java, although HTML 5 could easily emerge as a fierce rival for browser-based online poker development. Ultimately, it makes sense to look to the past of Java to understand the likely track for the future. The platform has survived stiffer challenges in the past and continued to survive, if not thrive, so it seems reasonable to conclude that poker players will be able to play at any number of Java-based online rooms well into the near future.